When I entered the Mass Fidelity lounge back in February at the Bristol Sound & Vision show, I immediately thought: yes, there's a little box there, but where are the speakers? It seemed that there was absolutely no way that little box could fill the room with sound - and a sound that had real musical separation and depth. My search for the 'trick' was over when the Mass Fidelity Core was placed right into my hands, and with no cables in sight. Yes, it has a battery, and it last for up to 12 hours! Read Hi-Fi World's review here. The Core creates it's own 5Gz class 1 bluetooth network, and at the touch of a button you can set up a multi-room system consisting of up to 8 units. 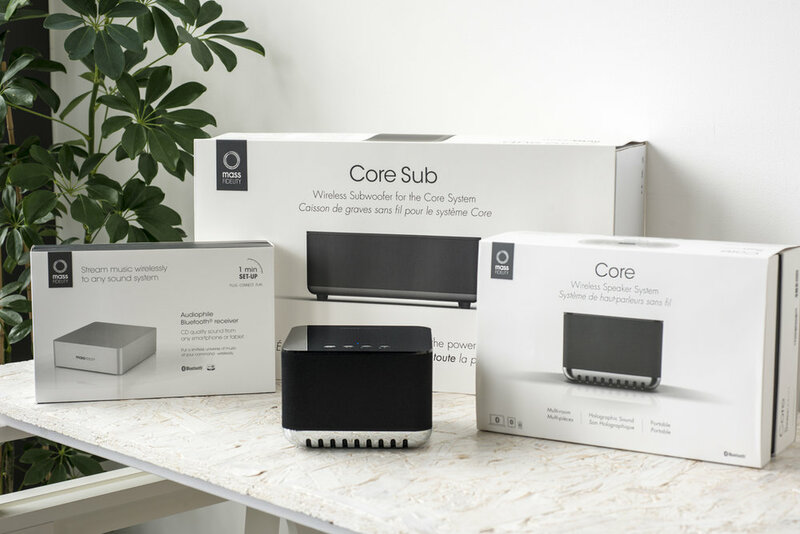 Stream from any device, hook up your Apple TV, turn any audio device with an AUX input into a wireless system, attach to self-powered speakers - there are myriad options. The Sub wireless subwoofer and Relay ultra fidelity bluetooth DAC are also available. 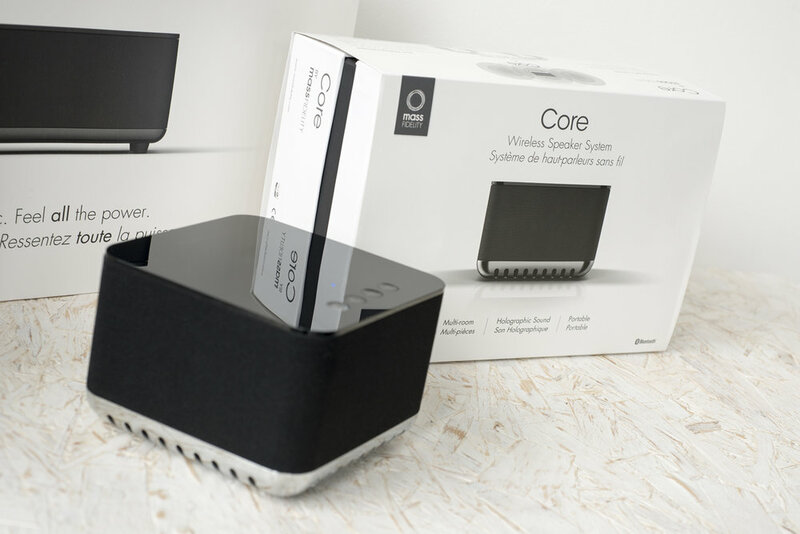 We now have our own Core wireless speaker system set up in the shop and it sounds absolutely fantastic - and our customers are equally amazed by the sound coming from one wee box as we were! Do yourself a favour and head down to our shop, or your nearest Mass Fidelity dealer, and you'll soon understand what all the buzz is about.